Apollo High School (Phoenix) "The Room"
Barry Goldwater High School (Phoenix) "Dog Shack"
Blue Ridge High School (Lakeside), "The Hive"
Boulder Creek High School (Anthem) "The Spot"
Cactus Shadows High School (Cave Creek) "CSHS Falcon Nest"
Casa Grande High School (Casa Grande) "The DECA Store"
Chinle High School (Chinle) "CHS DECA Store"
Combs High School (San Tan Valley) "The Den"
Cortez High School (Phoenix) "Calvin & Cammies"
Deer Valley High School (Glendale) "SkyHawk Cafe"
Desert Ridge High School (Mesa) "Jags Den"
Joan tried very hard for over two years and was finally able to get a POS for her school store! Way to go Joan! 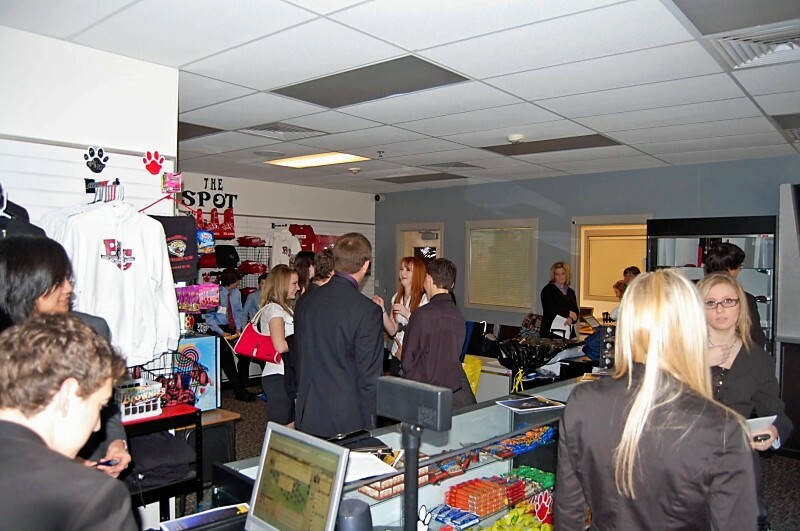 Fredonia High School (Fredonia) "The DECA Student Store"
Gila Ridge High School (Yuma) "The Hawks Nest"
Glendale High School (Glendale) "The Cardinal Connection"
School store sells candy, snacks, beverages, spirit novelties, and apparel items. 1-POS Station, Smart Keyboard, PFW. Globe High School (Globe) "The G Streak"
School Cafe sells candy, snacks, beverages, spirit novelties, and apparel items. 2-POS Stations w/Back Office, Smart Keyboard, PRM. Jon's students are using the new, PRM POS Smart-Keyboard. Greenway High School (Phoenix) "The Demon Den"
Higley High School (Gilbert), "The Armory"
Independence High School (Phoenix) "The Patriot Corner"
Ironwood Ridge High School (Tuscon) "The Hawk House"
Jim is using a Talon DVR Camera Security System to keep track of his student employees & inventory. 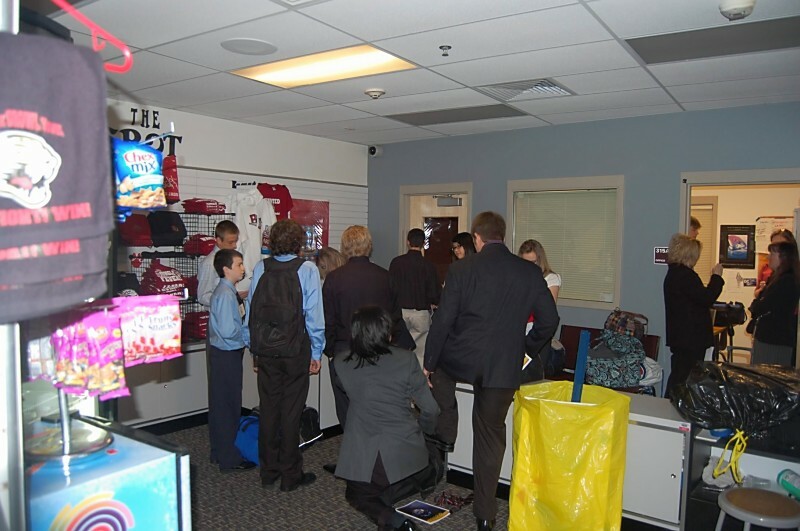 Kofa High School (Yuma) "Kings Kourt "
Maricopa High School (Maricopa), "The Copa Corner"
Mesquite High School (Gilbert) "The Spirit Store"
"It's been great having your pos system in our store. It has made my job a lot easier and more efficient." Mountain Ridge High School (Glendale), "The Cubs Corner"
Perry High School (Gilbert), "The Puma Den"
Poston Butte High School (San Tan Valley), "The Bronco Bistro"
Queen Creek High School (Queen Creek), "The School Store"
Superior Senior-Junior High School (Superior) "Victor's Place"
Teacher Contact: Ms. Christine Martinez 520-689-3100 "Panther Pen"
Sunnyslope High School (Phoenix) "Victor's Place"
Thunderbird High School (Phoenix) "The Thundershack"
Washington High School (Phoenix) "The Ram Shack"
Williams Field High School (Gilbert) "The Black Hawk Shop"
Willow Canyon High School (Surprise) "Wildcat Cove"
Vail Academy & High School (Tuscon) "The Dog House"
Valey Vista High School (Suprise) "The Storm"
Vista Grande High School (Casa Grande) "The DECA Store"